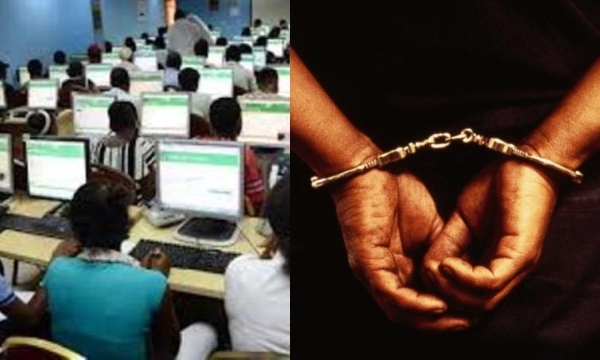 A man who identified himself as Professor Jide Jisus, has been arrested by the officers of the NSCDC for aiding her daughter to cheat in ongoing JAMB Exam. The Professor who aided her daughter to cheat in the JAMB Exam, was arrested by the monitoring team of the registrar of JAMB in an examination hall at Brix Academy, Jabi, Abuja. Though there were few hitches at some centres in Abuja and other states on the first day of the examination, however officials of the Joint Admission and Matriculation Board (JAMB), which is organising the examination, and candidates in many centres said the tests took off smoothly. “His identity was shrouded in dubious tales. He claimed during interrogation that he was one of the professors selected by the Board to oversee the conduct of the 2019 UTME. He also claimed that he was awarded a professorial position by Christian University, Isolo, Lagos and that he had two professorial awards from “Becket” University England and Freedom University.